Dry film lubricants including, talc, PTFE powder, graphite, mica, molybdenum disulfide, silicone fluids, various Teflon coatings & Silicone. The powders and fluid silicone lubes are usually not suitable for automated assembly equipment. All have their drawbacks, primarily the introduction of a foreign substance to the surface of the part which can migrate throughout the plant floor and contaminate other parts or processes. 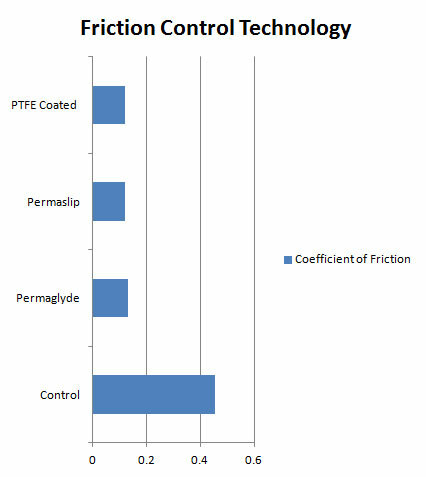 ·Standard Teflon coatings are an aqueous emulsion of PTFE which is sprayed on and post cured. Clean: it is Biocompatible (USP class VI requirements) and is VOC (Volatile Organic Compound) free. Options for antimicrobial treatment. Special Process that produces a “PTFE like” coating that is permanent and flexible. Proprietary formulation that is especially formulated to replicate the performance of surface treatments.